Book of Legends is rated 3.2 out of 5 by 31. Rated 5 out of 5 by AdrianaIP from A little overlooked jewel If you loved "Samantha Swift" you'll love this one. Same pretty views #and their not being full sized makes them more so#, same showcasing of beautiful museum pieces #approprite for the country# same miniminal but servicieable storyline, same vairety and twists to HOS to make them intersting. And there is a point to HOS, to make Zoe earn money for her plane tickets, which gives them a point. I already traveled to DC, Prague, Paris, Venice, and am now in China. And then there are mysterious men in black trailing Zoe. And I think that a couple of her clients are suspicious characters.... I love it!!!! Rated 5 out of 5 by tailswhiskers from Book of Legends I like this game but, it is a very hard to play. If you get stuck there is no hint button. What you have to find is very well hidden. I would recommend this game. 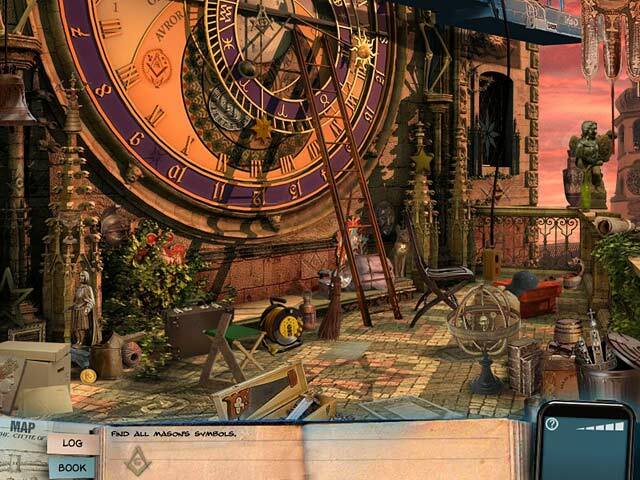 Rated 5 out of 5 by duskyroses from Better than National Treasure Awesome HIdden Object game! Better than National Treasure! I loved how you kept getting sent to different places after figuring out the clues. Challenging, but not so hard you get frustrated. Rated 4 out of 5 by fredandethel from Something a bit different - try it for yourself After reading such conflicting reviews I had to try this. I love the riddle clues and the variety of tasks. Some hidden objects are easy, others are tricky even with a hint - the grid type hint is a good original twist. Not so thrilled that I will buy immediately, but for now it's at the top of my list of games to buy with my next monthly game club credit. Rated 4 out of 5 by rosekaufmann from Talk About Squabbles This is a beautifully crafted adventure/puzzle/HOS game; length is about 5 hours. The creators gave us real-life squabbling siblings through the entire game - brings back memories. Voice-overs are quite good and actually sound like authentic bickering. He is overenthusiastic, optimistic, and sees the world as one rosy adventure. She is the smart one, cynical and humors him and, for her reward, is exasperated. Their differences in personalities will make you laugh. There are 6 cities in which riddles are solved, puzzles played and money earned to pay the airfare to the next city. The siblings use a PDA to keep in touch. There may be too much handholding for some people because the characters are always making suggestions. Each chapter ends with variations of HOS and a few puzzles. Story is very well thought out and all the fairly easy riddles, puzzles and HOS are integrated into the game. The artwork is bright and colorful. An orchestra with an occasional choir provides a changing rhythmic music appropriate to the story. Definitely worth a try and a smile or two. Rated 4 out of 5 by Scobeaux from Great game for younger players I want to give a shout-out to the voice acting in this game - it is really exceptionally good. Normally I am not a fan of lots of dialog, but in this case the actors are so good and the dialog is entertaining and very natural-seeming so it's not even annoying. The other sound effects and music are good too. 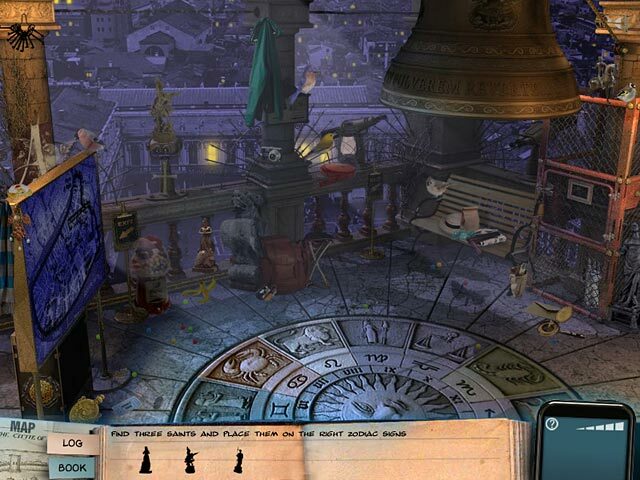 Another plus - there is a lot of variety in what is basically a hidden object game. The objects one needs to find correspond to a great extent to the city where the action is located from time to time, which I think is a plus. 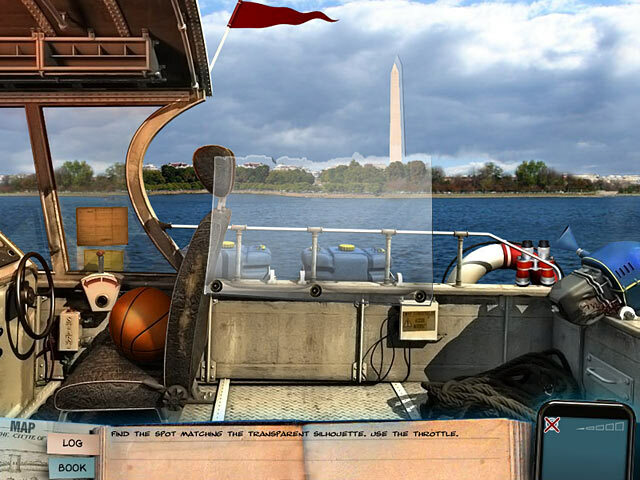 The graphics are pretty but somewhat grainy but mostly it's not too hard to find the objects. It is definitely aimed at kids about 11-15, I would say, so adults may get bored after a while. I am still playing, though! Rated 4 out of 5 by Snowfoxx from A must-have! This is one truly fun treasure hunt of a game that bring together apsects of various pop culture icons and blends them together in a great way. Usually in HOMs you spend time hunting down useless junk to find one silly thing, but not in Book of Legends. Like in the movie, National Treasure, each new item leads you to a new clue, that sends you on a global journey as you help Charleston and his sister Zoe find Excalibur. The beginning of the game seems very much like the opening of season 10 on Stargate SG-1, and the bookish library geek, Charleston reminds of us of the very young Daniel Jackson. Unlike Daniel, he merely calls the shots and gives Zoe directions to follow. Along with Chuck manning the helm of the operation, Zoe also picks up odd jobs along the way to fund the hunt. Some of these characters are a little shady, but when someone pays you $200 to do five minutes worth of work, you jump at it, especially in the 2012 economy. Even the hints we get to find items are done more logically, as we see the place through a grid, and hunt for the item in a map-like pattern rather than simply see a shimmer on our screen. 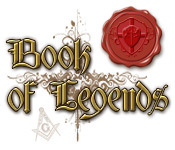 Book of Legends has become a must-have for me. If you like those kinds of hunts where one thing leads to another, and there is little back-tracking involved, then it will be a must-have for you, too.